Finally ga wathukkk ya geph.. Katanya 2 minggu lagi ketemu lagi tuwiii.. Ntar kita liat aja beneran apa ngga.. 😂😂 – with Turi, Aditya, Sanny, Agus, Heru, Guruh Aditya, fandi, Ilham, and Indra Hutabarat at Dim Sum Inc.
You don’t need a certain number of friends just a number of friends you can be certain of.. The story starts when our dear friend insist of having his matrimony in Blitar, his hometown..
which is quite far from Jakarta or Cimahi.. of course laaa..
which is not accessible by plane, so you have to travel by train. In my case, I was taking a flight from Jakarta to Surabaya, then continued with car from Surabaya until Blitar. And it’s quite exhausting, really really a long and tough journey by the way..
which seem to not have any place of interest, or theater, or mall, or whatever it is.. ahh I forgot to mention that his hometown is in one of a village in Blitar. The name of the village is Wlingi. Dad.. Your little girl is coming. Well, I’m not so little anymore now.. But, I’m still your favorite girl, right? Dad.. 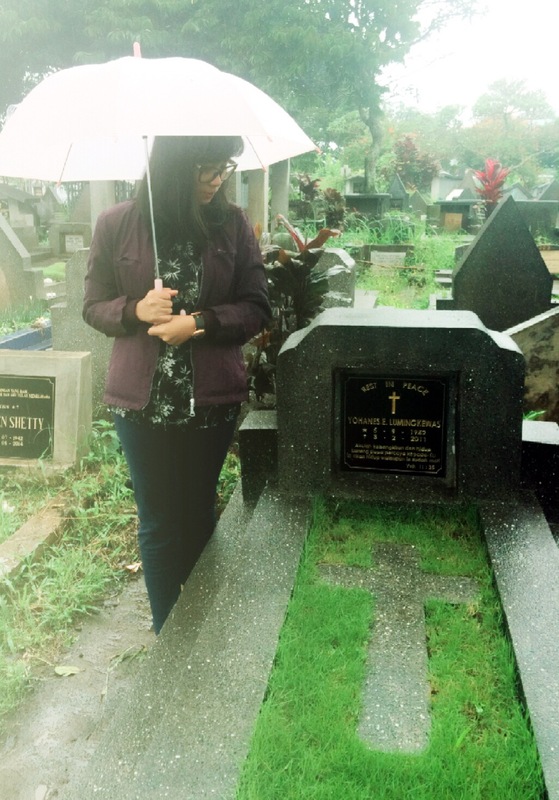 The rain is pouring.. and I miss you.. and this is how I took a picture with you now..
Love you dad.. Though I could not said it as often as others but I wish you’ll know how much I love you. The second time in Dufan this month (and this is only the second week of June). This time around, we are going together with my pretty little niece. My niece is the one sitting on the bench, not the one with orange t-shirt by the way, just as you know..
My little niece was celebrating her 13th birthday last week. Just assume this is my little gift for her. She is now quite sick.. but maybe you can’t see it in the picture as she seems quite cheerful with her bright smile. But yes, she is sick. She got a rare disease which need a really expensive treatment in which we could not find it in Indonesia nor we could afford it. Sometimes it makes me wonder, if I had the money, a looooooott of it, maybe I could change her world.. the same when as my dad got sick. I could afford the treatment no matter how expensive it is. Maybe.. just maybe, she could get better. But then, money can’t buy happiness, right? Money can’t buy healthiness. Sure, it could buy you a lot of things. It could bring you wherever you want to travel. It could pay the best doctor or hospital you could name. But it could not grant those thing could make you happy nor healthy. I have a friend whose dad is sick with cancer just as my dad did.. The difference between us is only money.. She got the money which could afford her dad to get the treatment while my dad.. well.. I just bring him to the doctor once and he was staying at home afterward. Never that I wanted money so bad in my life bef²²ore, so that at least I could bring my dad to the hospital, get him a doctor, get him any injection that he need, get him anything rather than just treat him at home like we did.. But you know, in the end, both of them passed away. It just strike my head that time. Money is not the one that could cure my dad.. or my niece right now.. You just have to surrender and believe in God. He is the only one who could give you the miracle that you need. Sure, you still need to work it out, do your best, and God will do the rest. So, that’s it. I just do what I can do. Give what I can give. Make her smile. Make her happy. Maybe just a small little thing but then as long as she is happy with that, then it is okay, right..? Friends are the one who you could be comfortably weird with.. but still tag you along. Not the one that got away but the one that you could show them your monster side but still stick with you anyway. These kind of friends is the one that I called f-r-i-e-n-d-s-t-e-r-s hahahahhahhaa.. I just wonder, why do I always put that kind of facial expression on photos? Oh please, yell.. grow up already, will you..
Just got bored at the office and then remembered that it is Fili birthday today. FIli is one of the Djatmikosters (this is actually a random name which randomly striking my random head for the one who randomly lived at the Djatmiko’s boarding house). Okay.. back to the topic.. Today is just one lazy day at the office (actually every most of the day seem to be my lazy day). I just feel so bored and sleep but could not do anything about it because the boss is sitting right next to me, until this thing came in mind. Just thought that the birthday girl should shine among the other and then tadaaaa… using the magic of FotoRuz and here it is the simple birthday card for the birthday girl. I just make it out of boredom, but when I send it to her, she is completely happy. She said that she was giggling when looking at the picture. She even posting it on her path and instagram to show how much she likes it. It’s kind of amaze me to see how this little stupid thing could make another person happy.. and it makes me happy too.. So, anytime, anywhere, you thought of doing something good for other, just do it. You’ll never know how much it means for them. 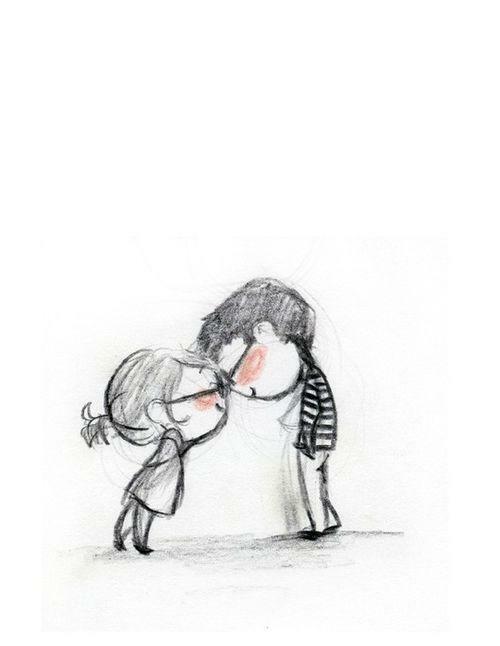 It might be small but it could change their feeling maybe.. It could make them happy. Do goods to other and it will come back to you.. Happy Birthday our dearest Lala..
Today is her 13th birthday. I do really hope that there will be much more birthday to celebrate with you our dearest niece. A lot of people said that 13 is the unlucky number. But for you, it is surely the time when you could see the hand of God help you and hold you tight. You’ll see how great and powerful our God is in your life right now.. and it surely will amaze you, that our God who is great and powerful, He loves you, more than we do.. and He will not let you going through this alone.. promise you..
Just be strong okay.. we will be there for you.. He will surely be there with you.. The one thing that I like from our boarding house is the owner. Not that they are handsome (they are already quite old you see..), not that they have a handsome son (both of their son already married and having children already), not that they are rich (they are surely rich but this is not the thing that I want to focused at this chittychat), but the fact that they are so kind and care so much that makes us feel that this boarding house is our second home. We all wishing you Bapak and Ibu a long and prosperous life, keep healthy and strong, wishing you tons of joy and happiness..